Maybe you took a dance class as a kid? Or your child can’t stop dancing when the music starts? And of course the thought of your daughter in a pink tutu makes your heart leap! Just about every child will bust out a move when they hear the beat kick in. But how do you know your kid is ready for a dance class? Have you seen too many episodes of “Dance Moms” and the thought of signing up your child for dance makes you tense? 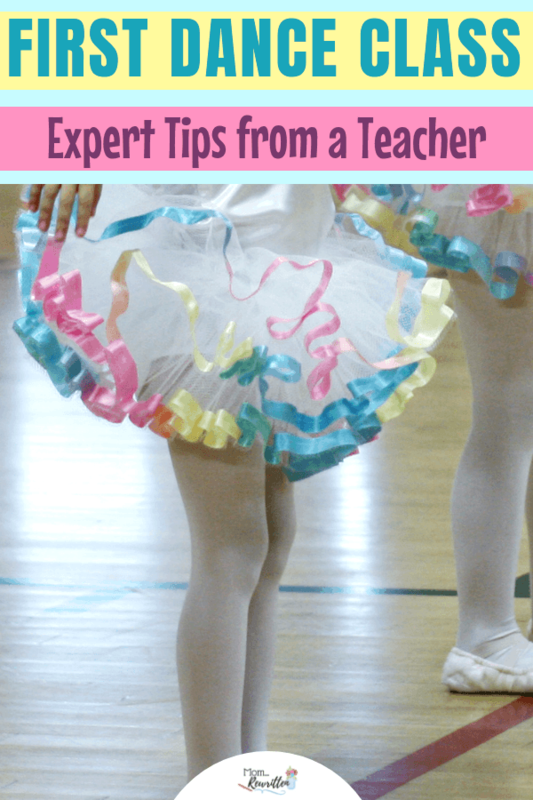 I’m sharing my dance teacher expert tips on what to look for in a kid’s dance class, what you need to know for the first dance class and what the dance teacher wants parents to know. I’ve been teaching weekly dance and tumbling classes for children aged 3-12 for nearly 29 years, so yes, I do consider myself an expert! I’ve taught at both elite dance studios and local recreation centers. I’m very good at what I do and my students return year after year. After so many years of teaching, I’ve learned a lot about what parents are looking for when they sign up their kids for dance and what they expect from the class. This is my expect advice on what you need to know about kid’s dance classes. Please note that I use affiliate links in this post. Clicking through and making a purchase helps me in a small financial way, thank you! So many children, starting in the toddlers years begin taking dance lessons but you might wonder why is it good for kids to start dance? Dance lessons work both the body and mind! Kid’s dance improves posture, balance and flexibility. Dancing can also be a stress and anxiety reducer and boost self-esteem. Dance is cardiovascular and offers fitness advantages. Children will learn how to manipulate their body during stretches and physical movements in a full brain & body connection. Learning routines will improve memory as well. And of course there is the social aspect of dancing alongside similar aged kids. Many children will enjoy meeting new kids in class but partnering with a friend to attend dance classes together is also a great idea (and can help kids who might be nervous about going to their first dance class). Dance lessons first and foremost should be FUN for kids. If the class seems too intense, there’s yelling from the teacher or the atmosphere is all-too competitive, then you should move on. This would not be an appropriate first dance class experience for any child. Kids can learn and grow without the heavy push and drama. And kids who are enjoying the class will want to return and will develop a love for dance! The dance teacher should be experienced, patient, organized and able to teach while still making the class fun for all students. Does the teacher appear to have control of the class? When you observe the class are the students paying attention and following the lesson or are they running around and not listening to direction? Music and dance routines should be age-appropriate. The internet is rife with videos of small kids dancing “adult-themed” routines but that doesn’t make it okay. If at any time you feel that the music or movements being taught to your child are inappropriate, discuss the issue first with the teacher, then with the director if necessary. Children should be learning at their own pace. Your child may be a in blended class of students with beginners to those who have a bit more experience. The teacher should be able to work with each child at their own level. This way beginning students don’t get discouraged at trying to keep up and more experienced students continue to grow in their skills. Drop-off or Stay and Watch? Is the dance class drop-off or stay? Most locations do not allow parents to stay inside the class room during lessons. This is for a variety of reasons, including distraction, noisy siblings, chatty parents, etc. Many studios will allow parents a single “watch day” during a specified time period and there are usually rules (like no other children allowed or minimal talking). 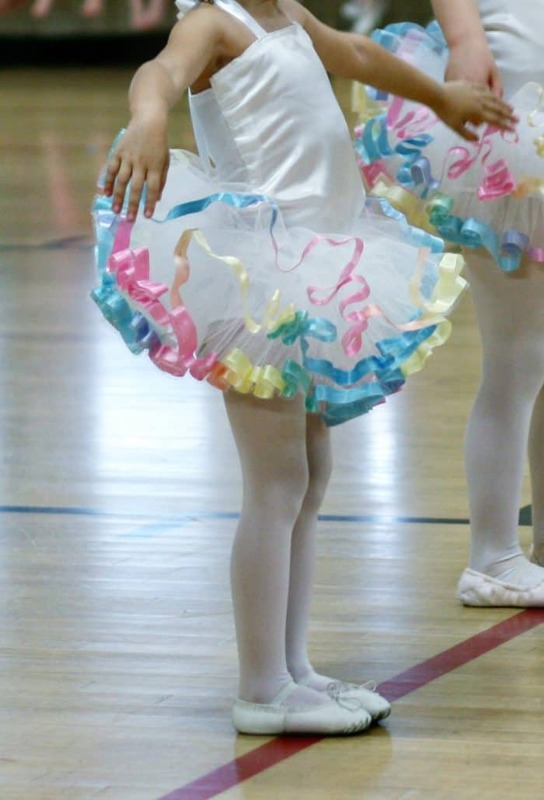 How Will You Know Your Child is Ready for a Dance Class? Do you think your child will willingly participate? Will your child cooperate with teacher instructions? Is your child potty trained? This may be a class requirement, so check with the teacher first. Can your child wait their turn in line? Is your child able to work independently? Teachers often have kids practice steps on their own while the teacher checks the work of each student. Will your child recognize dance lessons as a learning opportunity or think of it as playtime? If you expect that your kid will just run around inside the class, then you may want to wait a few months before joining. Can you child be without your presence for the entire lesson? Many locations do not permit parents to stay in the room so that the students can focus on the lesson without parental distraction. How Young Can Children Start Dance Lessons? Wonder at what age to start dance lessons? Most children under three years old aren’t ready for a full dance class. There are often “mommy and me” or parent participation classes that you can take alongside your little dancer. Some studios start offering dance lessons for children aged 3 or 4, but check with the director to verify age. What Type of Dance is Best for My Kid? The standard classes for kids are ballet, jazz, tap, hip-hop and modern (contemporary). 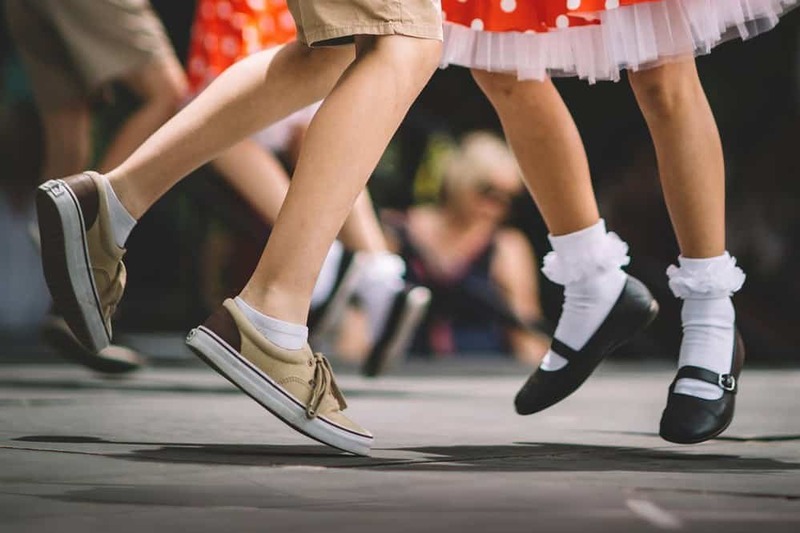 Very young children, including babies and toddlers, may take a “creative dance” class that is loosely structured and allows for parent participation and musicality without much in the way of learning routines. Some classes are combinations of several different styles. Students may do a stretch then a certain amount of time practicing ballet moves before doing tap or another dance style. Other classes are strictly focused on a single medium. Before you whip out those fluffy tutus, Disney princess dresses or pointe shoes, be sure to check with the dance school or the teacher with recommendations on dance clothing. Some locations or studios will require students to wear a “uniform”, usually a solid colored leotard and tights with ballet or jazz shoes. This simple attire allows the teacher to see your child’s movements without bulky clothing in the way of the body’s line. If your dance school does not require a uniform, here are some suggestions for ideal children’s dance clothing. A unitard or leotard in a breathable fabric (avoid metallics, which hold in sweat). A short dance skirt is okay, so long as it doesn’t impede stretching or dancing exercises. A lightweight dance sweater is fine to wear when the room is chilly or during warm up stretches. I teach dance in a relaxed recreation center environment but still have requirements for clothing. Kids are permitted to wear dance clothing or even just stretchy play clothing like a nicely fitted tee or knit shorts. 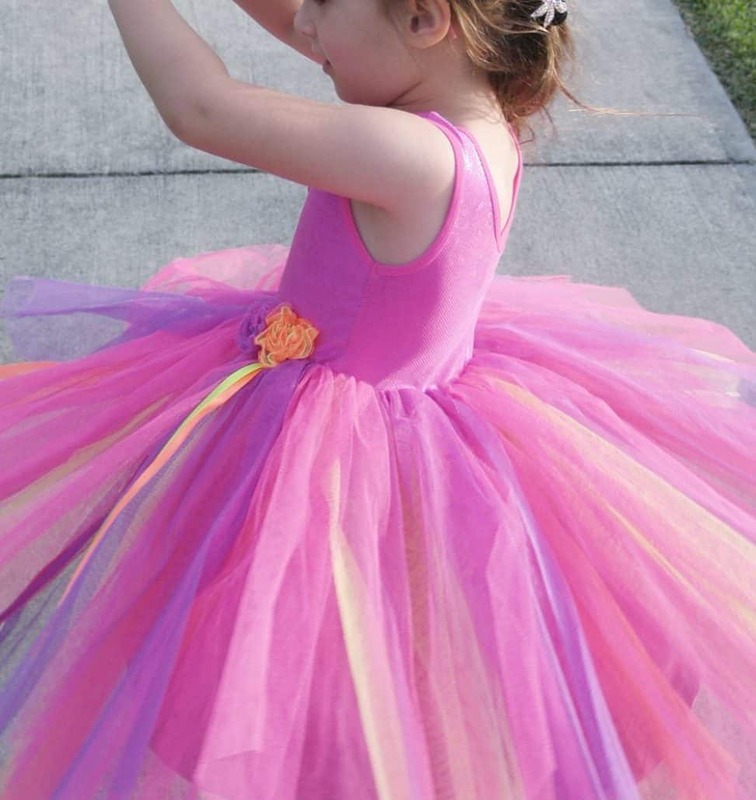 Children should not be wearing princess dresses, any clothing that covers hands or feet, jeans or other clothing that makes free movement difficult. Hair should ALWAYS be pulled back and away from the face. Avoid excessive use of hair accessories, especially ones that will get in the teacher’s way or will be a distraction to the student. Hair accessories like bows and head bands also tend to fly out as soon as your student starts to spin! Use strong elastics to secure hair back and small bobby pins to pull hairs off the face. Shoes should be properly sized for your student and worn with either dance tights or thin socks. Talk to the teacher before class to find out which color is preferred. Jazz and tap shoes are usually black but ballet shoes are often white or pink. The teacher may have a preference. You can often find inexpensive shoes online or discount shoe stores but it’s best to get a proper fitting at a dance store. Dance shoes should be well-cared for and not worn outside of class. Ballet shoes can quickly develop holes and tap shoes can become scratched if worn on concrete. Dancers should wear their regular shoes to class and bring their dance shoes inside of a dance bag. A simple drawstring bag works well. Pack a thin pair of socks if your child is not already wearing dance tights. Shoes can create a blister or rub skin across the back heel, especially when they are new and not yet “broken in”. Official dance studios and studios that specialize in competition will likely cost more per class. Some studios may offer a complimentary first class for your child to try it out and see if the class is a good fit. For your child’s first dance class, I recommend seeking classes at your local recreation center. Your child will be able to try classes at the rec center at a substantial discount over studios but still receive a quality dance class experience. There was a time I was teaching as an independent contractor at a rec center while also on staff at a high-end studio. I can guarantee you my classes were identically taught but the studio classes cost students a considerable amount more! Curious about the average price of dance lessons? Rec centers will usually have the sign ups online or in person at the center so you can quickly figure out the cost. Studios may not display the cost of lessons so you may need to call directly to find out the cost per class. Across the floor movements, like chasse “galloping”, leaps and turns. Learning new skills – the teacher should carefully break down each step in a new skill so that students can grasp the movements. Musicality, including free dance where the students can move freely to the music and rhythm. Learning a routine – the teacher will teach several moves in sequence, then play the music and link all the learned steps into a single routine. Dancers should wear their regular shoes to class and bring their dance shoes inside of a dance bag. Pack a thin pair of socks if your child is not already wearing dance tights. A water bottle that doesn’t leak is another good thing to bring to dance class. It can be helpful to include a hair brush, extra hair elastics and bobby pins in the dance bag for securing hair in case you forget to do it at home. Find out the studio policy in regards to missed lessons and ask it they offer make-up classes. All students should use the bathroom before coming to class. Teachers are not going to be able to help students in the bathroom so it’s best that you take your dancer before class begins. Prep your child if you’re not staying to watch the class so your dancer knows you won’t be present. Encourage good behavior in class. 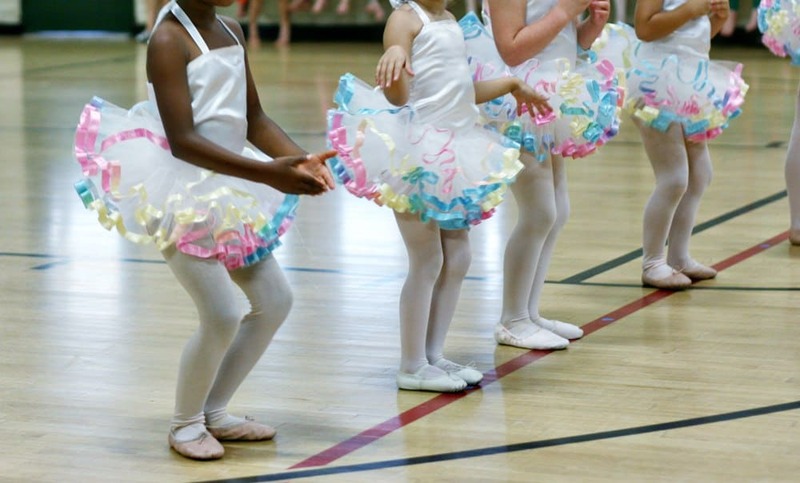 Remind your child that dance class is fun but it’s not a playground! Running, talking & shouting is usually not permitted. Teachers may use constructive criticism to point out things that need improving. Don’t let your child get discouraged and don’t take the comments negatively yourself. The corrections will help your child grown and learn in the class. My rec center offers a single spring recital show in which each student performs a group dance. Some studios may have several recitals a year or even participate in dance competitions. I was a competition dancer growing up. Competitions require near daily practices, travel expenses and many (very expensive!) costumes. Before committing to competitions, make sure that it’s at the wishes of your dancer! Burn out can happen quickly when dancers are pushed too hard towards competition perfection instead of just dancing for the joy. Should I Put My Son in Dance Class? Over my years of teaching, I’ve had many boys in my dance classes (including my own sons!) Younger boys usually jump right in alongside the girls to participate in class. I’ve found that if you don’t make it a big deal, they won’t either. As boys age however, they tend to want to dance only with their peers. Consider finding a studio that offers classes only for gentlemen if your son prefers to be around other boys. Last year I had a student who didn’t respond when I called her name. Several weeks went by with this and I’d chalked it up to her young age and that she was simply ignoring me. It wasn’t until week three of lessons that her mom told me that her daughter was almost completely deaf! No wonder the child wasn’t responding; she never heard me. After I knew this, I was able to tap her on the shoulder to get her attention and spoke to her directly so she could see my lips. If your child has special needs, privately inform the teacher and director so they can appropriately work with your child. Check with the director if your child would benefit from having parental assistance or use of a respite during the lesson. Some special needs children do not liked to be touched, which can be a challenge for teachers who need to gently adjust feet or body placement during the class. But if the teachers know about special needs, they can make the adjustments needed in class so that you child can continue to learn. Leave the teaching to the teacher. Control the urge to correct your dancer in front of the teacher. That being said, if you see your child misbehaving in class, don’t be afraid to step in and discipline or take the child out of the class to talk to them. It can be a challenge for teachers when a student isn’t listening and we usually don’t mind when parents get involved in that aspect. Encourage your child to safely practice at home. This can include doing their stretching routine, practicing splits, going over skills at home or marking through their routines for memorization. Dance is fun, but it’s not playtime. 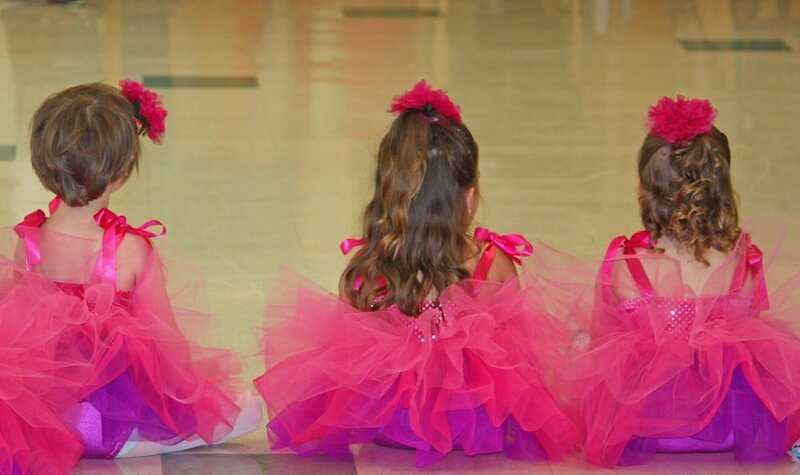 If your little dancer isn’t participating in class but would rather socialize and run around, don’t be afraid to step away for a few months and try again later. Don’t worry if your dancer isn’t grasping concepts as quickly as everyone else. Everyone will learn at their own pace and a good teacher will recognize this and work with your child. Know your personal goal for having your child take lessons. 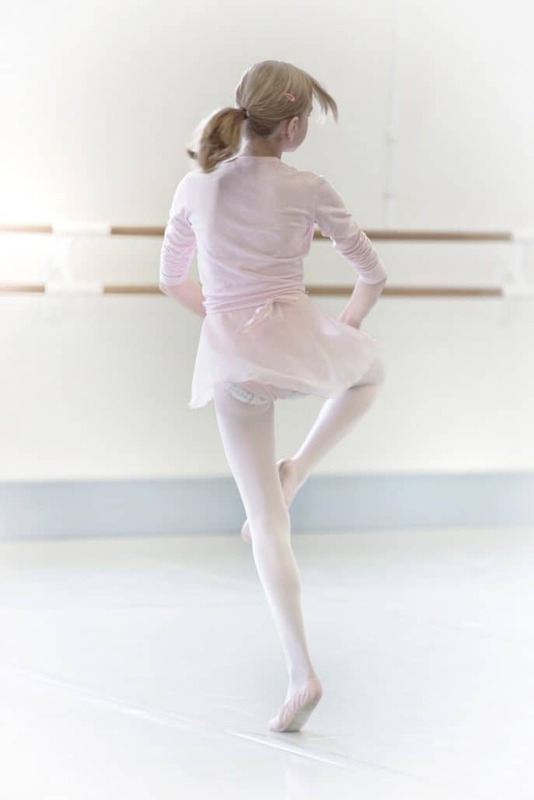 Are you wanting your child to learn new skills, to have fun, to get exercise or become the next prima ballerina? Keep your child’s temperament & personality in check, as well! It`s a great thing to have your child attend dancing lessons. Great social activity and also physical and emotional development of the child.